devorelebeaumonstre.com | Pittsburgh, PA | Fashion & Personal Style Blog by Stacey Belko: koshka x devorelebeaumonstre sweepstakes. One of my very generous sponsors, Koshka, is giving away $150 to shop to a lucky reader! 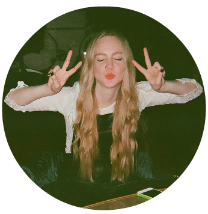 Follow my blog via Bloglovin'. Like Koshka on Facebook, follow them on Instagram, & sign-up for the email list. 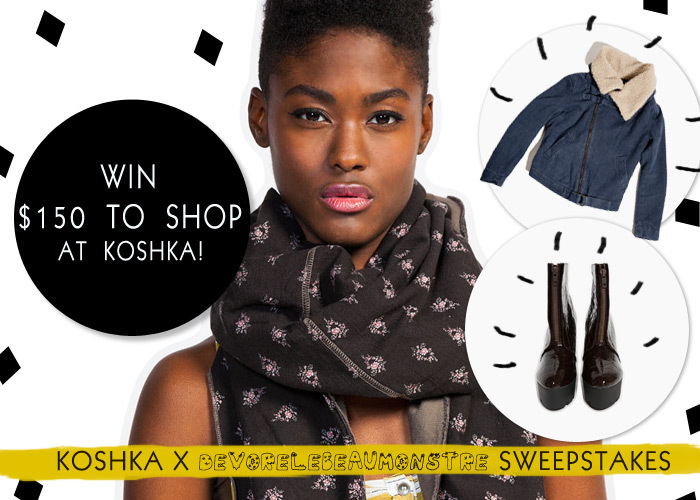 Leave a comment with your favorite Koshka item & your email so we can contact you if you win. Giveaway will be open until Tuesday, February 12th. I followed your blog (on Bloglovin and GFC), and liked on FB, followed on Instagram, and signed up for Koshka's email list! I don't have instagram but I follow you on bloglovin, I liked Koshka X on FB, and I signed up for their email list. i did everything required & here's my favorite item! OMG what a great giveaway! Did all of the requirements! My favorite item is Dusen Dusen Trails Babydoll dress! AMAZING!! ohh i love this! all done!